Amnesia Haze seeds produce one of the highest quality, most powerful herbs in the kingdom with a fresh and fruity flavor, and an ultimate experience of body and mind. 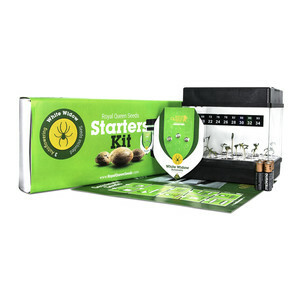 This potent herb is a fine choice for psychedelic pleasure and medicinal use, as this herb is a powerful relaxer for the body and the mind. 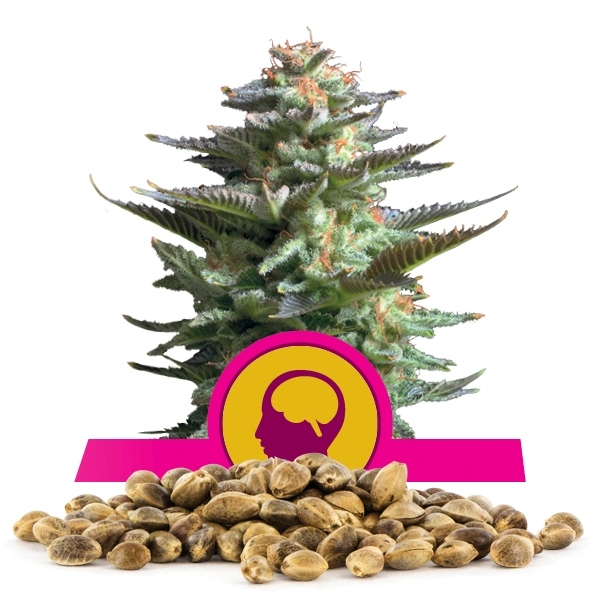 Royal Queen Seeds now offers premium quality Amnesia Haze cannabis seeds in bulk as well as conventional smaller packages of one, three, five, or ten seeds. 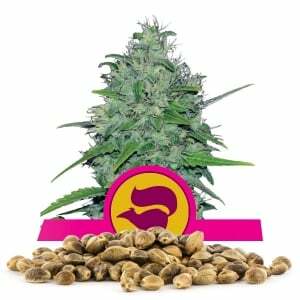 Amnesia Haze seeds produce one of the highest quality, most powerful herbs in the kingdom with a fresh and fruity flavor, and an ultimate experience of body and mind. This potent herb is a premium choice for psychedelic pleasure and medicinal use, as this herb is a powerful relaxer for the body and the mind. Amnesia Haze plants grow to a compact height of about 80 to 140 centimeters, and bring a very productive harvest of 70 to 80 grams per plant and up to 600 to 650 grams per meter squared under a 600 watt light. Grown outdoors in full sun, Amnesia Haze will reach a height of 175 to 210 centimeters and yield 650-700 grams per plant dried. 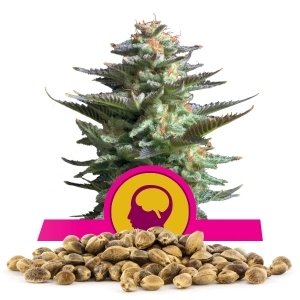 Amnesia Haze seeds are suitable for hydroponic systems; soil grows, as well as sea and screen of green grow techniques. Amnesia Haze is a connoisseur's herb, and like a fine wine, she takes a little longer to bring her yield. She will flower in about 12 weeks, and requires two weeks of drying and curing. Her harvest month is October. 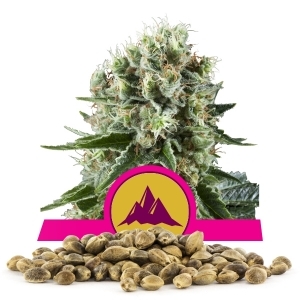 She needs protection from harsh elements of weather and pests, and with conscientious care with watering, she will reward the grower with a bountiful harvest of a fruity flavoured premium quality herb with 22% THC, a medium rating of CBD, and the satisfaction that only can come from Amnesia Haze. 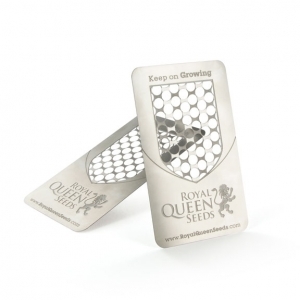 Royal Queen offers feminised seeds of Amnesia Haze with a genetic makeup of 70% Sativa and 30% Indica, and a genetic background of the original Haze seed brought to Holland and developed into Amnesia Haze. 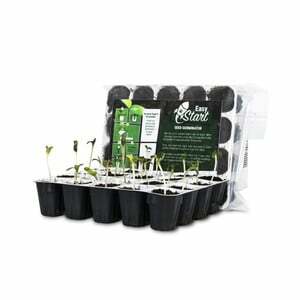 Bulk orders can be made through the contact us page, and there are a variety of choices for payment and shipping.